Enter your email address to follow GeorgeisWrite and receive notifications of new posts by email. Don’t let the Offering bucket pass you by! Are Christians living a life of Purpose? For once, Microsoft skeptics was spellbound at the latest Windows 10 devices event. They delivered their most important and needed update with the devices that support the all new Windows 10 operating system. The entire event was a blend of cutting edge innovation and snake oil salesmanship. May be too much of the former as the event reached its mid-point. Overall, I loved what Microsoft has delivered and is finally surpassed in terms of the innovation they brought to the table with superior hardware design & deep machine learning integrated to all their devices. There were FOUR major announcements and here are my take on each one of them. When I mentioned cutting edge, this is what I was talking about. From an experiment to an actual tangible kit. Just like how Microsoft paved the way for multi-touch interface, HoloLens is going to take VR to a whole new space. I can foresee how it is going to change the way be not only game and work but also the way we interact with each other. If one day Microsoft decides to make this tech open, its going to take Oculus, HTC Vive to the next level. For just $3000, you can get hold of the untethered development kit early 2016. 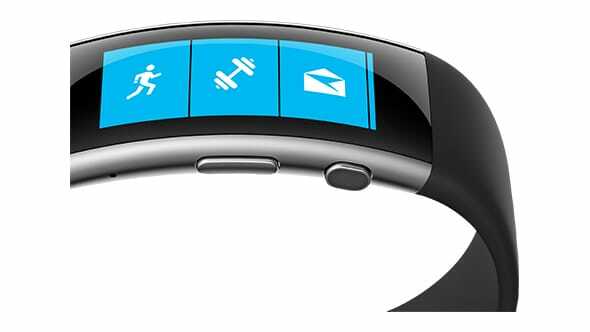 Microsoft Band was initially positioned as a Fitbit competitor but now with Band 2 they have stepped up the game. Now it comes with an array of sensors like barometer, track elevation and a deep machine learning platform that makes sense and gives insights that no one fitness band gives. With third party apps on the way the new Band 2 just cost $249 and will be available this October. 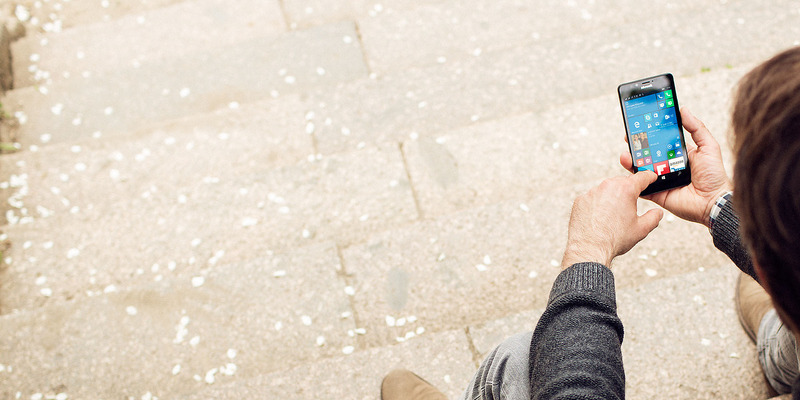 The all new Lumia lineup is spec heavy and is on par with the competition on paper. It Windows 10 OS with Continuum bring full desktop experience to a bigger screen and the phone won’t break a sweat. Because the 950 XL comes with the all new liquid cooling tech which dissipates heat efficiently, this is a new in smartphone technology. With unto 2TB expandable storage and OIS, its set to be a power player this 2015. But what it scores in hardware, it lacks in the design department. It felt as if they were reusing some left over Nokia designs. I wish they’d used some Surface-like design and I bet they will in 2016. The all new Lumia will be released in November and will cost $649. If its not broken, why fix it? Microsoft’s next iteration with the Surface pro 4 takes what’s already working to the next level. They’ve stuck to the same hardware design and made it thinner and lighter. They’ve increase display size without increasing the footprint, increased the storage to 1TB, battery life to 12 hours, increased processing speeds and RAM. They’ve also thrown in a new shiny keyboard which thinner, lighter and well spaced keys. On top of that they upgraded the Surface Pen and mocked the Apple Pencil while at it. For $899, the Surface Pro 4 should be available in October. This was the biggest surprise from Microsoft to date. This was there moment and they sized it. With the all new hinge, graphics card and battery life, I was blown away. And then they said you can detach the display and was blown all over again. It supports the Surface Pen, touch input and has an amazing keyboard. The weird part was they kept comparing it to a Macbook Air but spec wise it was all Macbook Pro’s standard. This is Microsoft biggest bet yet. Similar to Google building the Nexus Phones, Microsoft too wants to help their OEM’s be pointed in the right direction. The only turn off was Panos Panay and Brian Roper who sounded very sales-y, marketing mumbo-jumo and lacked the earnestness. May be that is exactly what Microsoft needs to stand out from the rest. Apple has finally set the rumor mill to rest. There was so much speculation on the next iPhone that you could print all the blog posts and compile a thick book. But as the rumor for the next iphone was going on, slowly rumors about the next version of Apple TV started showing up. The writers wrote that Apple has a new streaming service lined up with some original content. It was soon followed by more speculations during the first week of September that the next iteration of iPad, the iPad Pro was going to be announced and that is the reason why the chose such a huge venue. Then came the leaked images of the Force Touch display, saying the device would be thicker than the previous version to accommodate this new tech. Cult of Mac wanted to beat the crowd so they did on rumor on iPhone 7! Too soon? You know what, now it’s all laid to rest. So this is what happened. The day came, saw and conquered every media outlet possible. Tim Cook was at his best. He was comfortable and knew where he was leading the crowd to. He took all the viewers through a great storyline and stitched it all up and ended the event with One republic singing “Counting Stars” which was a fitting end. But let’s take a step back, let’s break it down and look at each product announcement objectively. Initial impression was it was a big iPad. But slowly it started to fade away when they showed the lengths at which Apple took to showcase iPad Pro beyond a consumption device to a creator device. Phil Schiller shared a lot of numbers and stats as to why this is a redefined desktop class device rather than your regular iPad. They showcased the ease of editing movies to music creation and even rendering on Autocad! Man! I’e used Autocad when I was in school and even my PC couldn’t keep up with it. So who was it made for? I seriously am still confused on who is their target audience. Its a tablet and not a PC. Microsoft’s Surface has been there and done that. Only time will tell what is it finally going to be used for. So far, Apple has gained the support of IBM and Cisco as their Enterprise customers and that is a good thing. With the iPad Pro, they introduced a sidekick called the Apple Pencil. I initially thought it was a joke and Phil kept his cool, then we knew it was real. Apple Pencil has a nice touch to the entire iPad Pro storyline. I recently invested in a Samsung Galaxy Tab A 8.0 inch just to replaced by diary because I love to write. I love styluses because they take note taking to a whole new level. Every tech blogger started reminding us on how Steve Jobs hated styluses at the iPhone launch. But when you look at the context, he was referring to using a stylus for all touchscreen input. This was so common back then with the Windows touchscreen phones. I think Apple was wise in introducing a stylus but does it justify the price and how does it affects the future of Adonit, Paper and Evernote is yet to be seen. Finally, after so many year Apple decides to take on TV again. It morphed itself from a setup box to a fatter set top box with Amazon Fire like features. It didn’t feel ground breaking at all. Apple basically borrowed ideas from everywhere and created a hybrid device with a refreshed interface. Nothing new here. As usual they stuck to the iPhone routine. Every “S” model would follow the predecessor in terms of hardware design and then would upgrade everything internally. This time with the “6S” they improved the cameras, processor, display and so on. The biggest announcement was the introduced of “3DTouch” aka “ForceTouch”. They showcased mobile screen interaction to a whole new level. By applying a little bit pressure you could have a sneak peek into what was underneath and press a tad harder it will launch you directly into what you were peeking at. It reminded me a lot of Samsung’s Air view feature which was deemed a gimmick. I don’t know why whenever Apple does the same no one calls it a gimmick? The question in every consumer head is, “Why should I buy this phone?”. Apart from 3D Touch, they have some neat features on the camera front. It was the 12 megapixel, 4K shooting, Live Photo holding phone was the one that made people go quite. It was beautiful. There were surprises and it didn’t come form Apple. Let’s just say Microsoft was invited. Apple has had a long standing love-hate relationship with Microsoft and this event seems to me that this was a sign that they have moved on and have buried the hatchet. Even though Microsoft delivered a great product and a cringeworthy performance on stage, its good see them play nice. Overall, it was a great warm fuzzy event but it lacked the “WOW” factor that I’ve experienced before. It was an update or “catch up” to times and didn’t feel revolutionary. May be my expectations are high or may be Apple is saving it for something bigger for a better time.